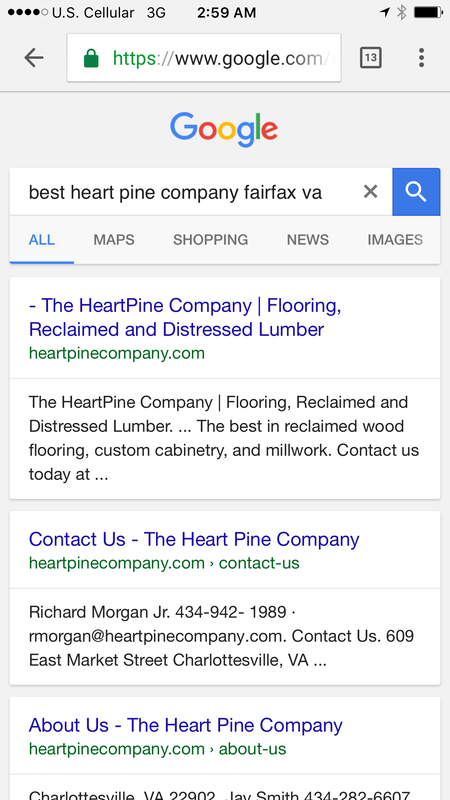 Well after nearly 2 years of scouring the countries Internet marketing companies, I failed to find any legitimate marketing agency succeeding in front page exposure consistently for their clients….. That’s right the conclusion of my experiment was that all existing on my marketing companies are failing yeah quite content to charge their customers for NOTHING. 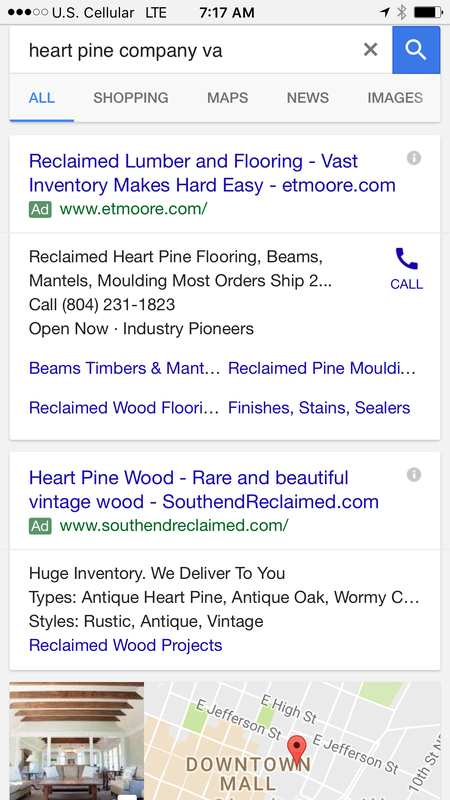 So here, finally, are some actual, legitimate, real life and local examples, of small business success stories, on the front page of Google. 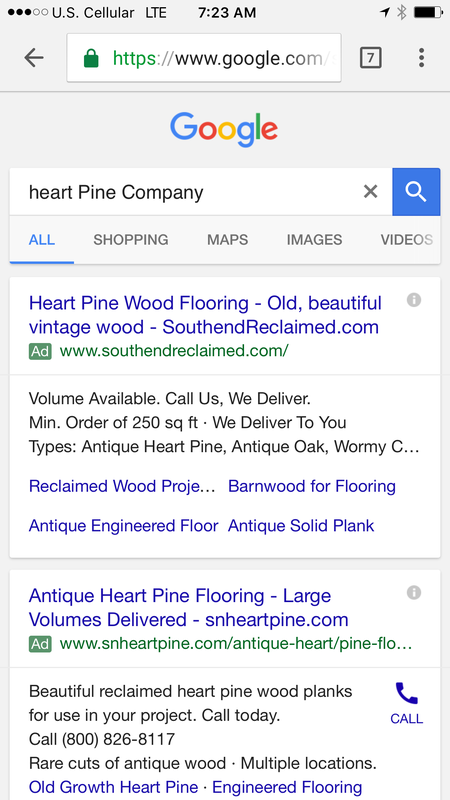 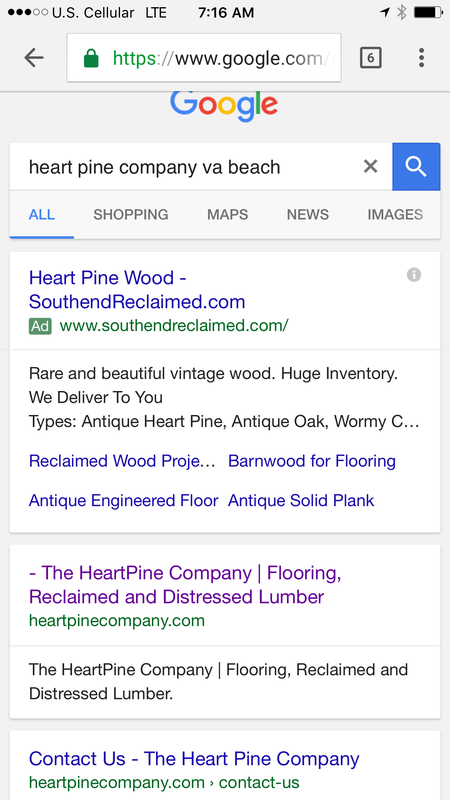 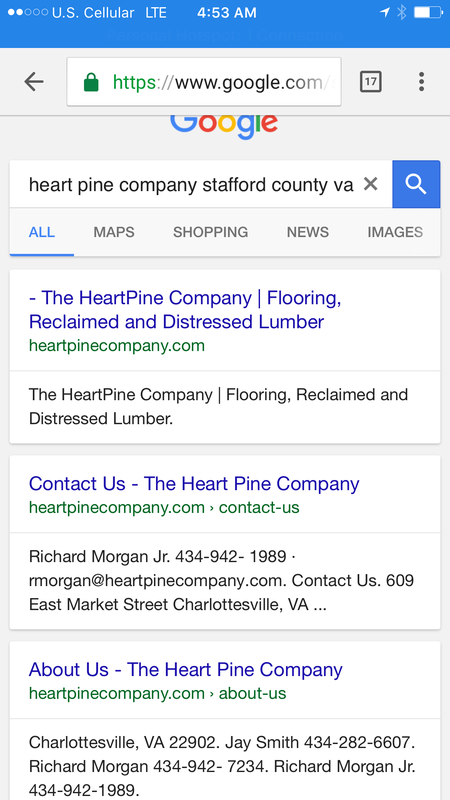 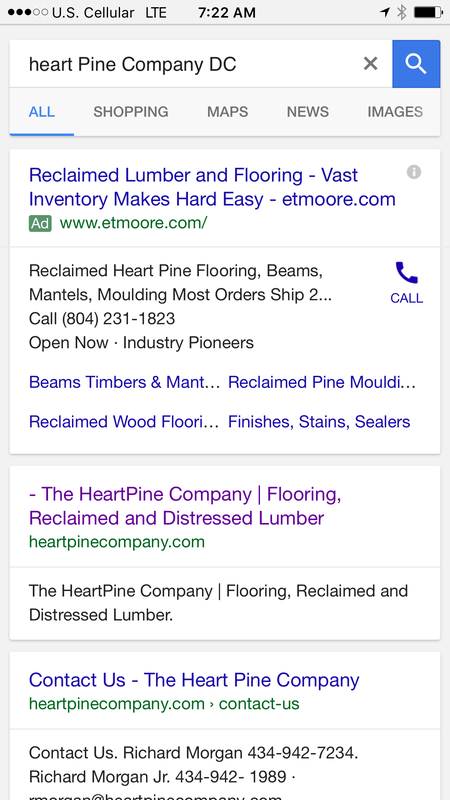 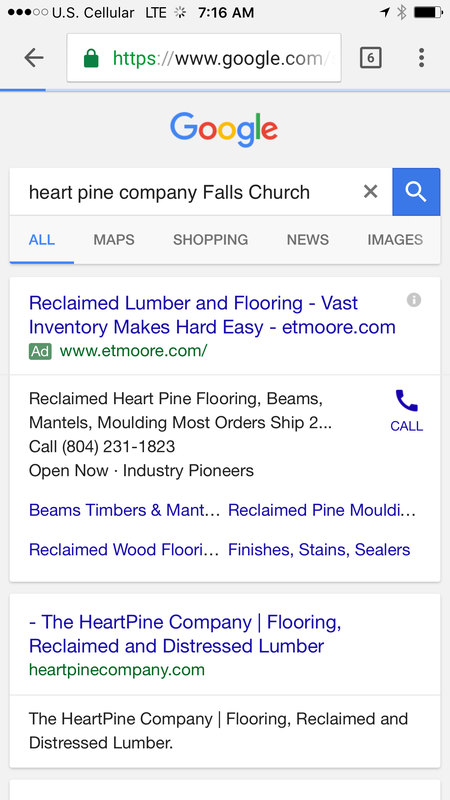 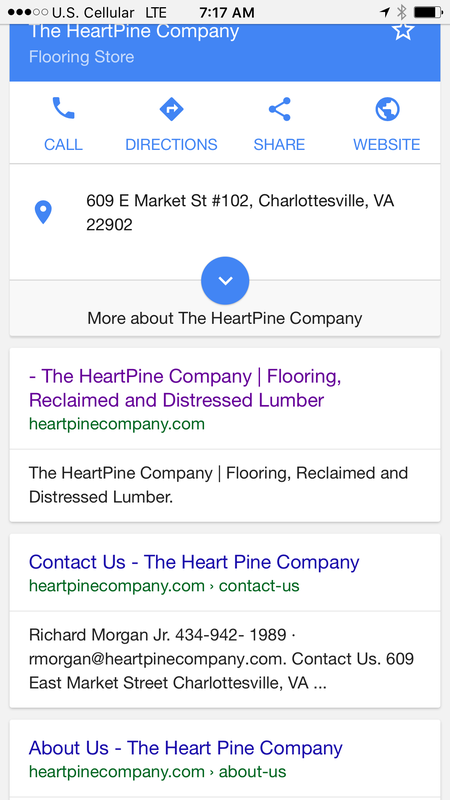 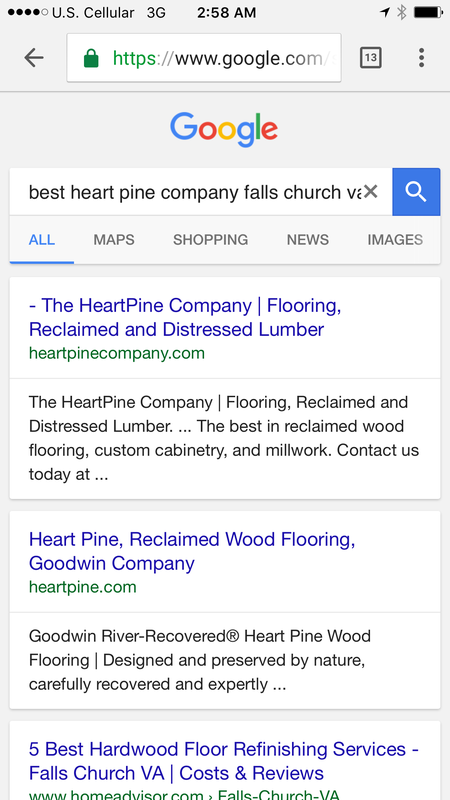 Notice in this example we are merely typing in identifying keyword phrases that up potential online user my type into Google, to find a heart pine flooring company in Maryland. 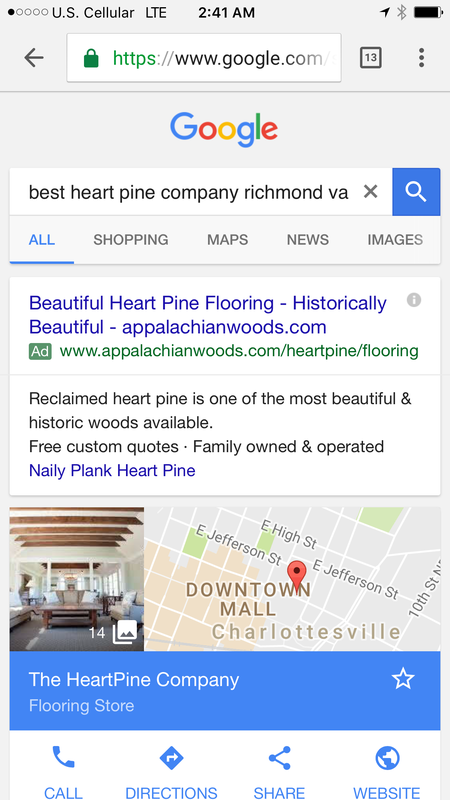 Real people using real phrases to find local businesses’ webpages. Here’s that same company also achieving visibility in the Virginia Beach area for their heart pine flooring company.